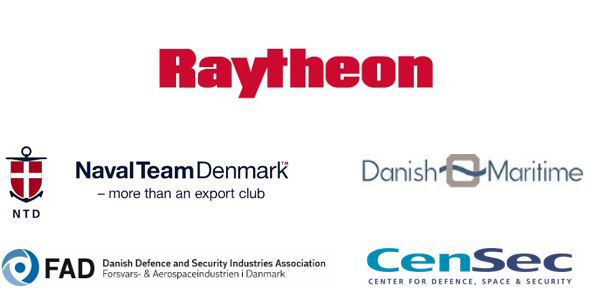 The Danish Embassy in Washington DC in cooperation with Naval Team Denmark, CenSec, Danish Maritime and FAD invites Danish industry to participate in Raytheon Industry Seminar 2019. The seminar will take place 30 April at Naval Base Korsør on board the Royal Danish Navy Frigate IVER HUITFELT and 1 May at Comwell Korsør. The seminar will consist of panels and a networking reception on 30 April and business-to-business meetings on 1 May. Companies desiring to participate in the seminar must sign up via the form below and complete the required document “Company and Product description” and mail it to jesras@um.dk. 13:00 – 13:10 Check-in Naval Base Korsør main gate. Cdr s.g. (Ret.) Per Starklint from Naval Team Denmark will receive participants at the gate to facilitate entrance and transport to HDMS IVER HUITFELDT. 14:15-15:15 DALO Panel on opportunities in the Danish Defense Agreement.